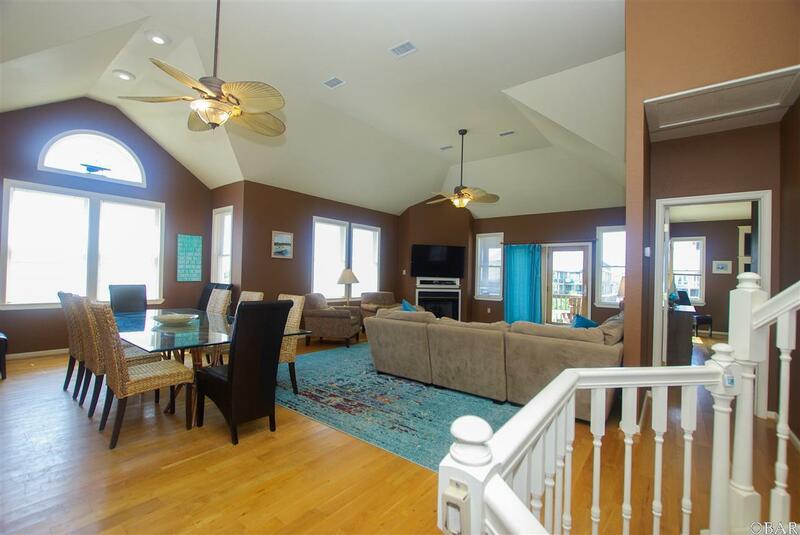 Spacious and warm, you must see this lovely Nags Head semi-oceanfront cottage with gorgeous ocean views! The home features large bedrooms, gorgeous oak floors on the mid and top level and new LVT on the ground floor. The bedrooms are spread out for privacy with a master bedroom on the first and third floor. 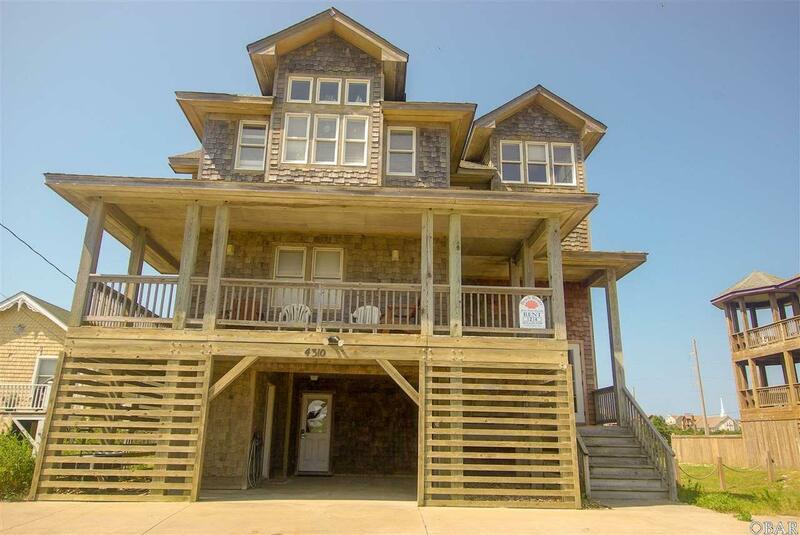 The kitchen and ships watch boast fantastic ocean views and the upstairs great room has a large dining area and huge comfy couch for family/friends gatherings. 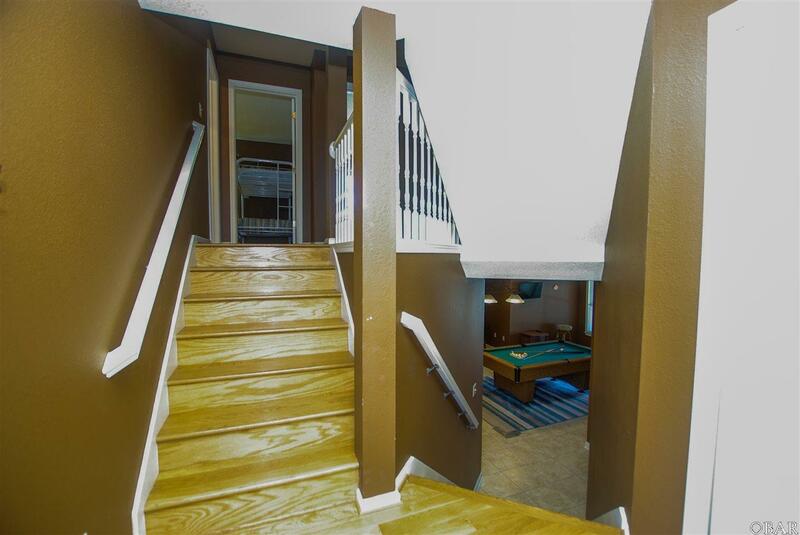 The game room has a a kitchenette with a full size refrigerator. There is also a half bath on the lower level (in addition to the full bath in the lower level master) for added convenience. The home was put into a rental program in March 2018 and nearly all bookings were made within the same month. With some thoughtful upgrades, the rental projection when open for a full year shows $73,000 which makes a terrific investment opportunity! The owners priced the home below tax value for a quick sale! 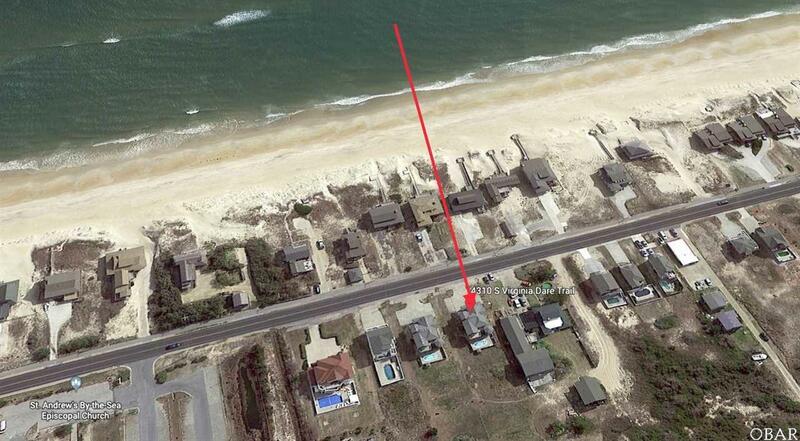 Listing courtesy of Laurie Battaglia of Coastal Outer Banks Realty.